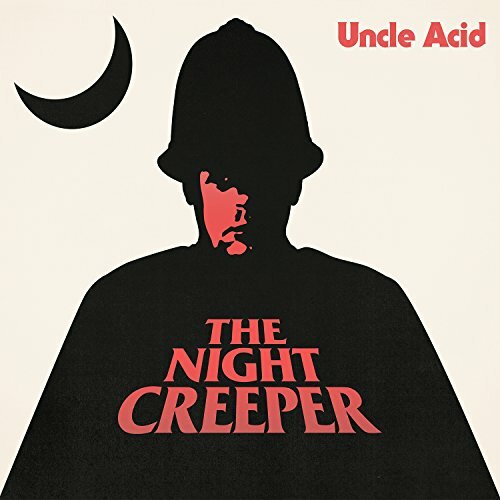 As well as having a rather brilliant name Uncle Acid & The Deadbeats are easily one of the finest metal-come- psychedelic rock outfits of the last ten years. They released their latest opus, Wasteland, last year before gleefully skipping down the highway to hell (or heading out on tour as it’s also known). Tonight (you lucky people) they bring their occult, horror film loving, riff-worship to the Brudenell Social Club. Before Kevin Starrs and Co take to the stage we’re introduced to the equally riff-tastic pleasures of Toronto’s Blood Ceremony. I mean, with a name like that, they were never going to be an indie-pop band. Led by vocalist, flutist, organist and all round master-of-ceremonies Alia O’Brien the band puts an intriguing, idiosyncratic yet appropriately ritualistic twist on the Satanic riff songbook. It doesn’t happen straight away but little by little I’m lured into the band's sonic ceremony. It’s perhaps when O’Brien starts to weave a little flute into the songs, folk melodies filtered through the rhythm sections solid rock grooves. The flute-riff dynamic recalling Jethro Tull just as the atmospheric, somewhat cinematic use of organ nods towards Goblin’s iconic Susperia soundtrack. ‘Drawing Down the Moon’ is introduced as a being in the “pop vein”. If this is pop then its pop infused with rock, folk and psychedelic influences. O’Brien acting as a conduit for the band’s melting pot of listening habits, happily leading us through the ritual. The songs are heavy but never excessively so, O’Brien preferring to hypnotise the audience Pied Piper style. Uncle Acid & The Deadbeats are not the kind of band to let a good riff go to waste. Their first offering, the inspired dark psych-groove of ‘I See Through You’, introduces the Brudenell crowd to the band’s pummelling and propulsive wall-of-sound. This is the sound of a band on a mission, galloping out into the wastelands with a pocket full of riffs and a copy of Raw Power by The Stooges. 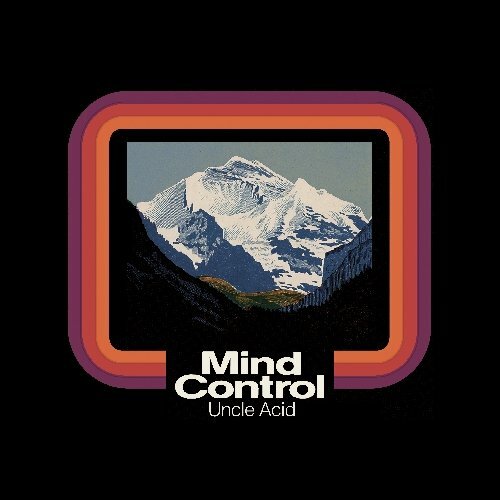 It might seem like a simple enough formula on paper but there are few bands that can carry this sort of thing off as well as Uncle Acid. A sea of heads nod in unison to the desert-rock riffs and songs about blood, death and crystal spiders. A pure, rock ‘n’ roll, adrenaline rush; hairs-standing-up-on-the-back-of-your-neck guitar solos and drums that pound in your chest. Starrs and second guitarist Vaughn Stokes exchanging licks during a pleasingly wild ‘13 Candles’. The fuzzy stomp of ‘Mind Crawler’ finds them “taking a morning cycle through the gates of hell”. The Video Nasty imagery brings a dark yet theatrical, almost Alice Cooper worthy, vibe to proceedings. Being a massive horror fan, it only adds to the appeal. The glam-goth stomp (is that a genre?) of ‘Death’s Door’ is introduced as a love song. I’m not entirely sure about that (“I’ll leave you dying at death’s door” anyone?) but it’s an anthemic, untouchably cool slice of occult rock all the same. ‘Shockwave City’ sounds like some unholy Zeppelin-Sabbath crossover while ‘I’ll Cut You Down’ sounds utterly unstoppable. Audience members with significantly more hair than me head-bang their hearts out as a Bez type figure in the audience happily raves away with glow-sticks wrapped around his hands and luminous shades on his face. It’s only Wednesday but Uncle Acid have brought the party with them. Even this pint of lemonade tastes pretty wild right now. The doors of perception are finally kicked in with the epic, relentless doom-rock of ‘No Return’; 10 minutes of blissfully heavy, end-of-the-world style riff adoration. It’s absolutely glorious. The song finally gives way to a short and unexpectedly chilled instrumental lullaby from the band’s two guitarists. A recorded voice finally brings us gently back down to the ground, “you will sleep a long sleep”. Uncle Acid and his band of merry Deadbeats must be pretty tired by now but they can rest easy knowing the Brudenell has been well and truly blown away.